Door Step School, Pune. : Little Scientists in Action! 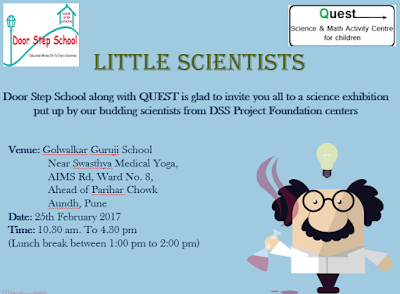 Door Step School along with Quest (Science & Math Activity Center) invites you all to a Science Exhibition put up by our budding scientists from DSS centers at construction sites and slums across Pune.